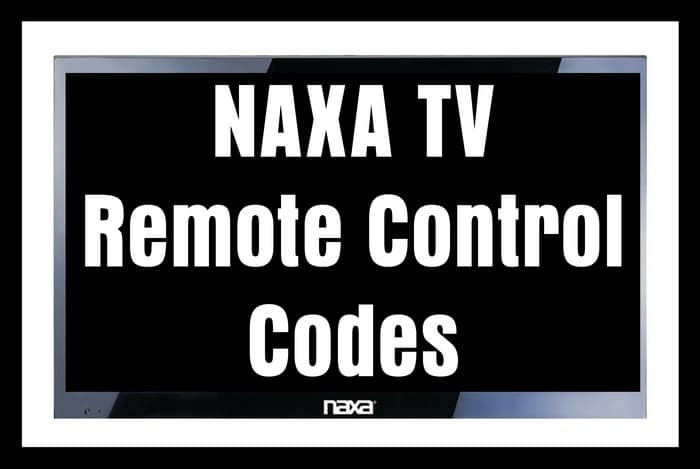 Remote codes for NAXA TVs. Below is a list of NAXA remote control codes to be used with ALL NAXA televisions. These codes can be used with most universal remotes if your TV needs a 3 or a 5 digit code. These codes can be used with a Universal remote or your existing CABLE or SAT remote (if programmed correctly). Need your NAXA TV Manual? See below for model number NAXA televisions. All Naxa Instruction Manuals, Driver Software, Firmware/Software Updates, and Easy Setup Guides & Tutorials for NAXA TVs are located here. If you have tried all the codes and they do not work for your NAXA TV, please let us know which remote control model number you are using and tell us your issue below.